The Gaysi Zine was conceptualised in 2011 with the intent to prod and poke an existence outside of the heterosexual project: What it means to be Queer? Where is Queer seen? Who is Queer? Is Queerness a performance? How can it serve as a socio-cultural critique? 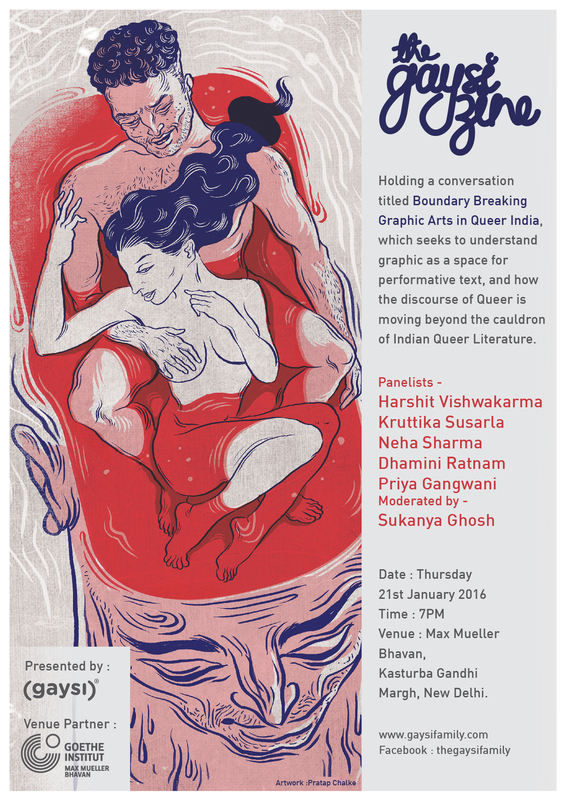 We are taking this intent forward by holding a conversation titled Boundary Breaking Graphic Arts in Queer India, which seeks to understand graphic as a space for performative text, and how the discourse of Queer is moving beyond the cauldron of Indian Queer Literature.